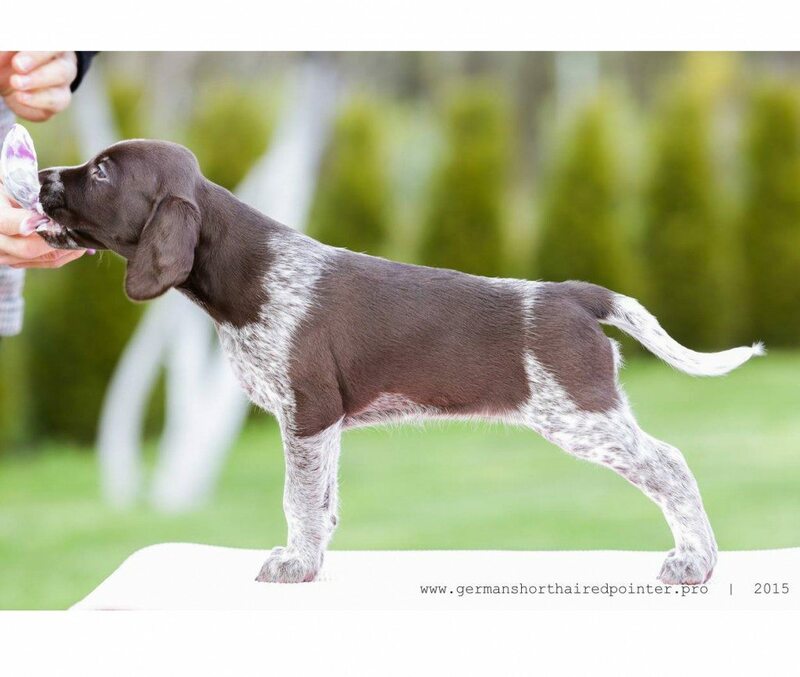 Litter E was born March 15, 2015 out of Havana Du Nid Aux Nobles & Baltia Sumu UPE. 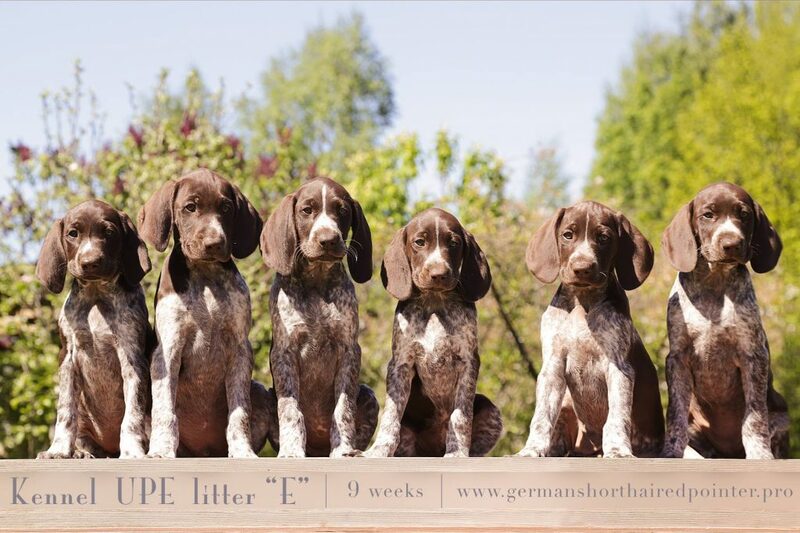 The father of puppies is very successful male from our kennel. He has done and still doing an incredible carrier in Dog Shows. The number of title is constantly growing, but for this day he is approved International Champion, Junior and adult Champion of Lithuania, Latvia, Estonia, Russia, Belarus and Baltic States . He was also granted as the best Young Dog of the Year 2012 from all breeds! 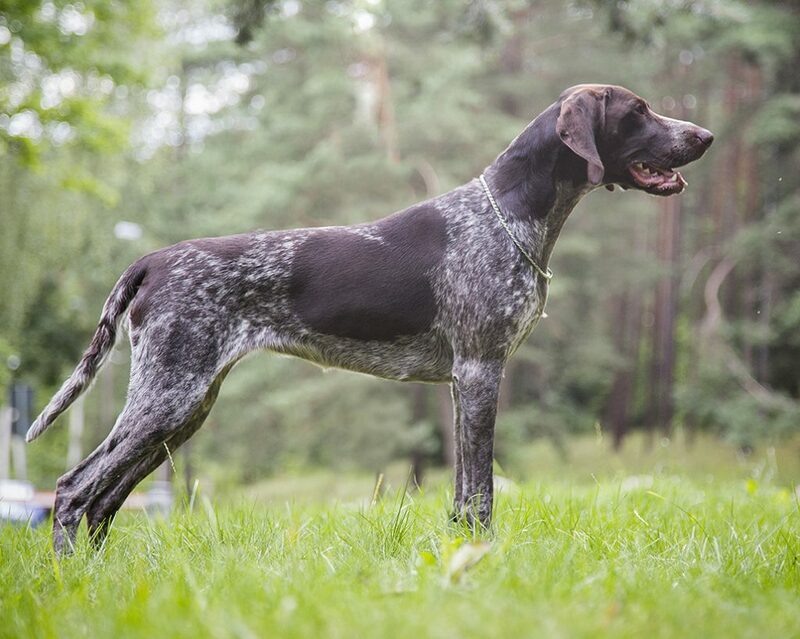 Best VSMB club dog of 2013 and the third Best Dog in Lithuania 2013 from all breeds! 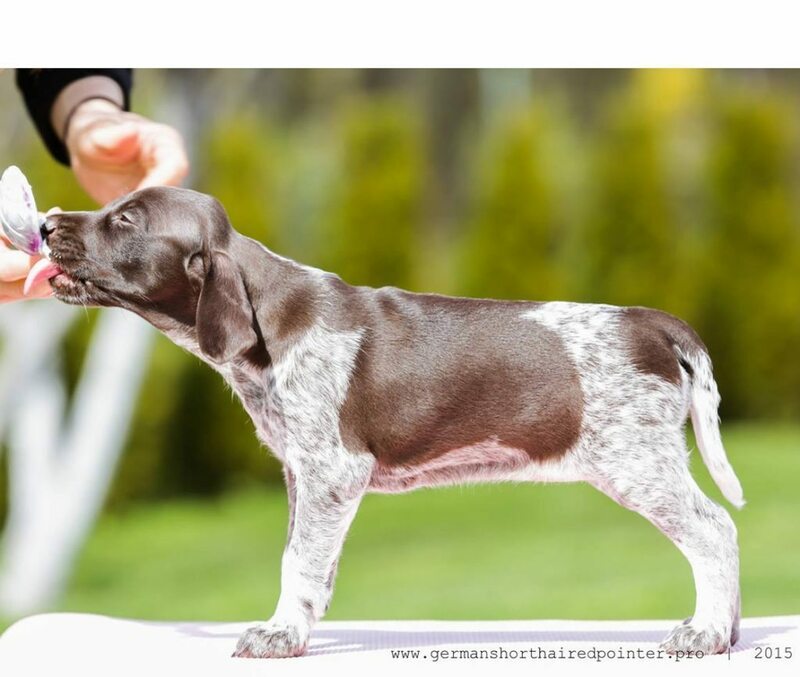 This dog, Baltia Sumu UPE, has over 60 Best of Breed titles from many different countries, 30 CACIB titles, has been granted as Best in Group for 30 times! Best in Show from all dogs been 7 times, res. BIS – 4 times, third in BIS – 5 times, forth – 2 times and fifth – twice..
Baltia Sumu UPE has a very nice temperament which combines intelligence, cheerfulness and peace of mind. 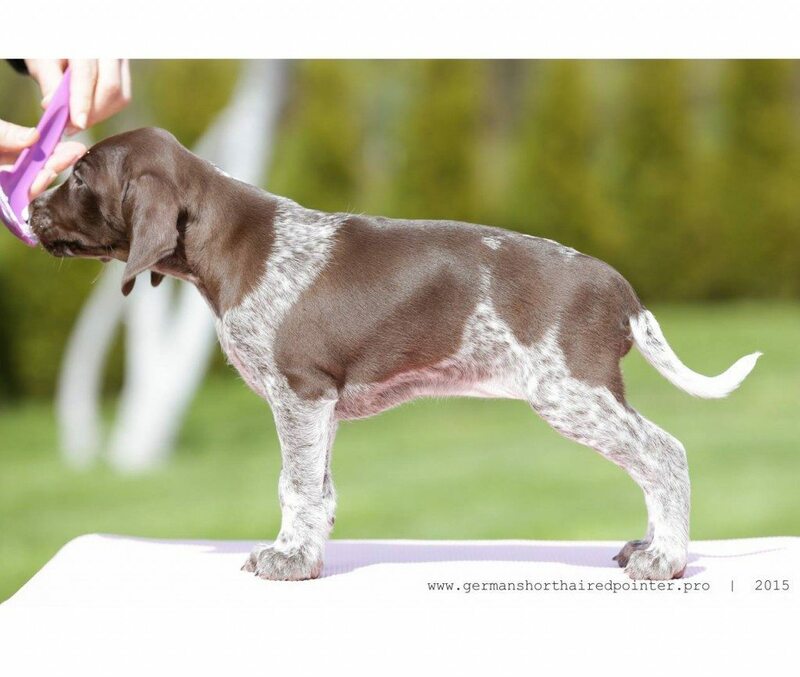 Very harmonic character no matter if he’s at the Dog Show or in the field. Havana is calm and peaceful female with a strong passion to work. Especially good in the field searching birds and pointing at. 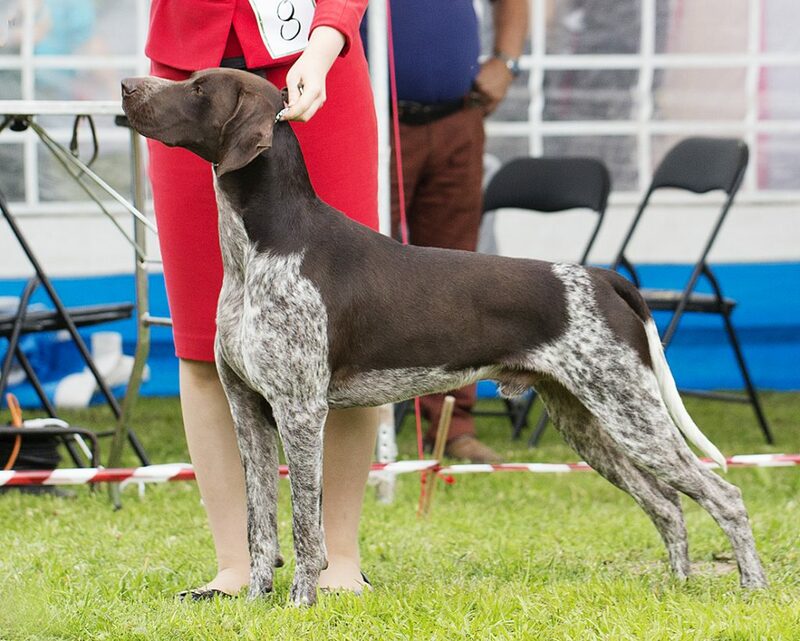 She is champion of the dog shows as well – Lithuanian Junior and Adult Champion. Has several CACIB, BOS and BOB titles. Both dogs got perfect health test results and are free of Dysplasia (HD-AA, E-00). Out of this combination we got 6 puppies. 5 brown / white females and one “macho” male. 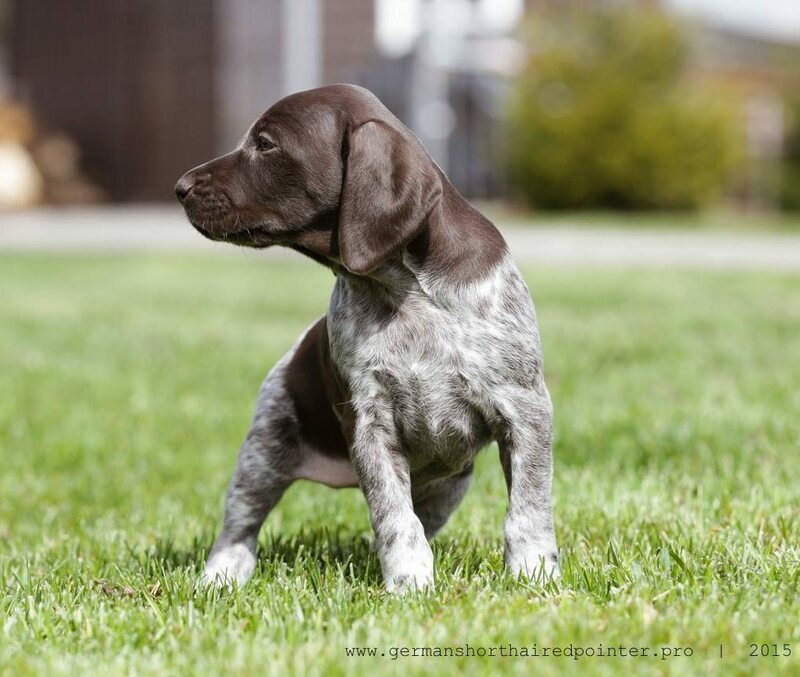 No doubts that puppies will have a great temperament as their blood lines are of a very special dogs, who were very successful as working and show dogs.